Portfolio | CVF Capital Partners, Inc.
We invest in companies that are geared for growth. ComAv is an aerospace services and asset management firm in Victorville, CA. Through its subsidiaries, ComAv Asset Management and ComAv Technical Services, ComAv offers a fully integrated solution for aerospace asset owners wishing to maximize value while managing short-term storage and reactivation, or long-term storage and end of life solutions. As an FAA certified repair station with ample in-hangar and external storage, ComAv provides holistic solutions for commercial airlines, aircraft leasing companies, OEM's and other aerospace operators. Initiative Foods, based in Sanger, CA is the largest private label baby food manufacturer in the United States. In the heart of the California Central Valley, Initiative Foods has access to some of the best fruits and vegetables grown in the country. Their Certified Organic products, 50 recipes of premium baby food flavor profiles, and various packaging sizes continue to meet the needs of babies, and parents, throughout the country. LightRiver Software, Inc, was formed by parent Company, LightRiver Technologies, Inc, as it acquired Unique Computer Services, Inc, a pioneer and industry leader in the development and support of multi- vendor, transport network systems software, with hundreds of thousands of nodes under management. LightRiver Software's industry-leading product, netFLEX®, enables transport network operators of all sizes to efficiently provision and manage anything from a few to several hundred thousand network elements, with FCAPS support across a broad range of legacy and next generation vendors and devices. LightRiver Technologies is a multi-vendor integrator of cutting-edge transport solutions for mission-critical networks. LightRiver delivers unique value with turnkey solutions, carrier-class quality, high standards of technical expertise, and unparalleled customer care. Working with best-in-class vendors and drawing on decades of network experience, LightRiver guide clients through the entire lifecycle of their network - from initial market entry strategy, infrastructure design, network installation and integration, program management, network management to maintenance and support. Pioneer Recycling Services, LLC, based in Tacoma, WA is an industry leader in non-hazardous recycling and solid waste in the Pacific Northwest. Pioneer Recycling’s collections centers focus on providing reliable environmental services and solutions for commercial, industrial, municipal, and residential customers. Processing over 200,000 tons of recyclable products a year between the Tacoma, WA and Clackamas, OR facilities, Pioneer Recycling Services has some one of the largest Material Recycling Facilities in the region. Started in 1977, Precision Machine & Manufacturing has grown from a small machine shop in Eugene, OR into a complete OEM facility, and is recognized as one of the nation’s leading designers and manufacturers of precision rotary valves, feeders, and screw conveyor material handling systems and components. Signature Coast Holdings is the corporate entity of two world-class landscape management companies serving the California and Nevada markets. Coast Landscape Management (www.coastlandscapemanagement.com) is a full-service landscape management company based in Napa, CA with 8 satellite locations specializing in commercial properties and public agencies for parks, schools, and recreational facilities. Signature Landscapes (www.signaturelandscapes.net) is based in Reno, NV and operates as the largest full-service landscape management company for commercial and residential properties in the Greater Reno and Lake Tahoe markets. Founded in Stockton, California in 1996, Utility Telecom is one of the largest regional providers of networking, communications, and technology solutions in the California Central Valley. The company provides critical data networking and unified communications to over 5,000 business customers in California and Nevada, including enterprise, government, and wholesale customers. Utility has implemented many fully redundant fiber rings, supplying its customers with lightning-fast Internet speeds on ADSL, Ethernet over Copper and classic T1 service, linking their regional Points-of-Presence with the public Internet peering points. Founded in 1972, Administrative Systems, Inc. is a leading provider of benefits disbursement software and services to large financial institutions and employee benefit plans. The Company’s innovative solutions help streamline benefit disbursements and tax reporting to aid clients in reducing operating costs. Founders sold the Company to a private equity firm in February 2011. Anabi Oil Corporation and its affiliates operate as a diversified distributor, retailer, and owner of motor gasoline products and properties throughout California. Beginning in 1991 with a single property in Baldwin Park, CA, the Company now carries various interests in one hundred twenty (120) properties throughout California. Eighty-nine (89) of these properties are situated in Southern California; thirty-one (31) properties are held in Northern California. Owners refinanced CVF’s debt in April 2012. Owners refinanced CVF’s debt in June 2009. 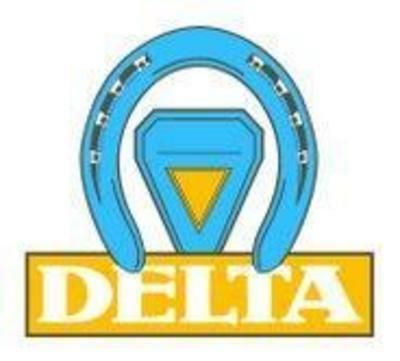 Delta Horseshoe Company has been providing quality farrier-related products since 1984. Delta is committed to every aspect of the farrier industry and stays in constant communication with a worldwide network of manufacturers and farriers in order to provide the best and most current products available. In November 2008, the Company announced plans to combine with Mustad Hoofcare Center (“Mustad”). Founded in 1997, EndoCenter Partners partners with physicians to design, develop, and manage state-of-the-art ambulatory surgical centers located principally in California’s Central Valley, Central Coast, and San Francisco Bay area. These centers primarily focus on the Endoscopy and Ophthalmology specialties. The company’s goal is to combine the benefits of physician ownership with the advantages of shared management services, thereby enhancing the delivery of patient care while also providing for operating efficiencies. Owners paid off CVF's preferred equity and outstanding debt in March 2011. Fulfillment Corporation of America is located in Beaverton, OR and provides fulfillment, logistics, and digital deployment services with regional and national consumer product, financial services, and healthcare businesses. Tracing its origins back to a direct mailing service company in 1979 the company maintains warehouse operations in Beaverton, OR and Brea, CA. The Company was sold to leading Hispanic food and beverage producer, Novamex (novamex.com), in May, 2016.
ioSafe is the technology leader in disaster proof hardware and is headquartered in Auburn, CA. Like an aircraft black box for data, ioSafe provides rugged, fireproof and waterproof hardware and data recovery services in a cost-effective way. ioSafe’s diverse product offerings and patented technology provide unparalleled data solutions to protect critical and irreplaceable data for consumers and businesses alike. The Company was sold to a strategic in July, 2018. Molded Devices, Inc.established in 1998, is a specialty manufacturer of custom dip molded, dip coated, and injection molded parts. The Company specializes in short run, custom products for U.S.-based OEM customers. In particular, Molded Devices, Inc. has a heavy customer focus in medical supply manufacturing where its high quality products are attractive substitutes for in-house production. Owners refinanced CVF’s debt in December 2015. Mulberry Neckwear, founded in 1989, designs, manufactures, and distributes neckties throughout the United States. The Company licenses major name brands and sells through department and specialty stores. At the heart of Mulberry’s philosophy is a commitment to creating unique neckwear for its customers—strong, innovative designs using fabrics and workmanship of the highest quality. Founders sold the Company to Phillips-Van Heusen Corporation (NYSE: PVH) in April 2008. MuniServices, founded in 1980, is a leading provider of innovative revenue enhancement and other related services to state and local governments. MuniServices counts more than 250 such jurisdictions as clients, including various municipalities in California, Florida, Georgia, Nevada, Pennsylvania, Texas, and the District of Columbia. Management sold the Company to Portfolio Recovery Associates, Inc. (NASDAQ: PRAA) in July 2008. National Legal Services was formed through the merger of Quest Discovery Services and RSP & Associates. The consolidated companies specialize in document acquisition, duplication, and distribution solutions to law firms, third-party administrators, and insurance companies throughout California. The Company was sold to a private equity group in December, 2016. Paleteria La Michoacana is a leading producer, marketer, and distributor of premium ice cream and other fine desserts. The Company is known for its fine quality and methods used to produce its paletas, using natural fruits and ingredients of the highest quality. The Company was sold to a private equity group in April, 2016. Quest Discovery Services provides document acquisition, duplication, and distribution solutions to law firms and insurance companies. From subpoena preparation and service to online order and record management, to large volume reproduction and photo duplication, to court reporting, to Bates numbering, and rush delivery, the Company´s dedicated professionals deliver high quality services and products that affordably meet its clients’ needs. Company merged with RSP & Associates in 2014 to become National Legal Services. Resourcing Edge is an HR management firm that allows small businesses the opportunity to outsource partially or entirely basic HR legal responsibilities and functions to better manage their workforce. Resourcing Edge’s extensive HR solutions help employers automate the undeniably complex HR process, including employee handbooks, payroll and employee benefits, E-Verify, new hire forms, I-9s, and more. Founders sold the Company to Assurity Life Insurance Company (assurity.com) in October 2015. Source Logistics was founded in 1999 to provide third-party logistics (3PL) solutions for the storage and freight handling needs of Mexican and Latin American consumer products manufacturers. The Company utilizes its network of warehouses and a range of value-added services to permit its customers to grow revenues throughout the U.S. The Company was sold to leading Hispanic food and beverage producer, Novamex, (novamex.com) in May, 2016. Ultra Gro, founded in 1985, is a full-service provider of custom-blended fertilizers that can be tailored to a variety of crop, soil and microclimate conditions. From product field trials to timely order turnaround and delivery, the Company works closely with its customers to ensure that its fertilizer programs meet and exceed the expectations of today’s growers. Owners refinanced CVF’s debt in August 2013. Valley Healthcare is a Sacramento, CA based healthcare staffing company serving both regional and national healthcare providers with their nursing, physician, and allied staffing needs. As a choice provider of travel nurse staffing and recruiting services, Valley works with nurses who seek to serve patients in a variety of locations while maintaining a unique work-life balance. Founders sold the Company to TotalMed in November, 2017. Waterman Industries started from humble beginnings in 1912 when W.A. Waterman moved his sheet metal shop to Exeter, CA to better service the Central Valley. In 1953, Waterman Industries built its first cast iron canal gates and shortly thereafter was fabricating larger and more complex radial and slide gates for use in the expanding federal water projects throughout the West. The Company was sold to McWane, Inc. in March, 2018.